The benefits of propane don't end at the front door. With propane, you can transform any outdoor space. Full outdoor kitchens, patio heaters, fire pits, flame lighting, and more — all powered by propane — will keep the fun going well into the night. Get backyard bragging rights with a new propane grill, fire pit, and patio heater, delivered straight to you. Just like an indoor gas range, propane grills give you instant on-off convenience and precision temperature control for a perfectly done meal, every time. Powered by your home or business’s main propane supply, a full outdoor kitchen provides the ultimate outdoor cooking and entertaining experience. Get a real flame and real warmth at the flip of a switch. Simply shut it off when you’re done with no messy soot or ash to clean up. A chill in the air shouldn’t stop you or your guests from enjoying an evening outdoors. Patio heaters can add comfort on the chilliest nights by raising the nearby outdoor temperature up to 30 degrees Fahrenheit. Real flame lighting creates an unforgettable look for outdoor spaces, and can be used for walkways, general lighting, and more. Plus, they are totally odorless, and will function even during a power outage for added security and safety. Extend pool season all year round by heating an above- or in-ground pool or spa faster and more efficiently using a propane heater. Expand your entertainment space outside of your home and into your backyard with propane amenities. Propane amenities, from flame lighting to a full outdoor kitchen, can transform any yard into an amazing, relaxing space. An overview of the variety of outdoor applications propane offers for any backyard. A closer look at how businesses can extend the enjoyment and ambiance of their outdoor settings during any season. A video that shows how an outdoor space can be transformed with propane-powered touches. Learn about the quick, easy, and safe installation of propane outdoor applications. Can propane power my entire outdoor living space? Yes. 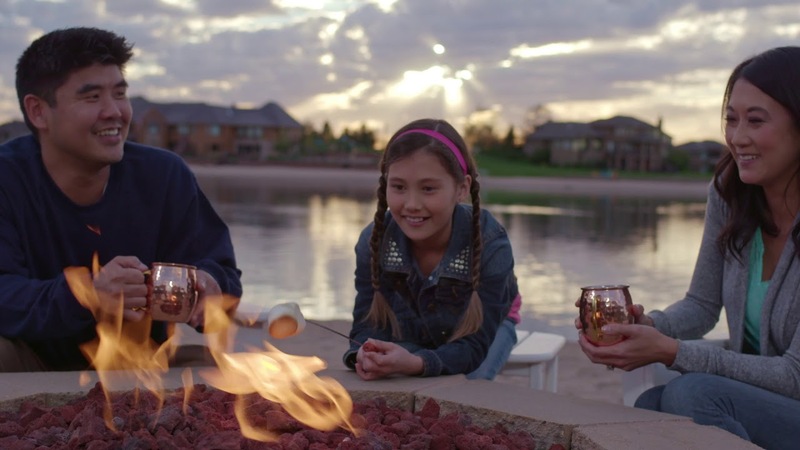 Propane powers a variety of outdoor living amenities for any space, including flame lighting, fireplace/pits, patio heaters, pool heaters, and outdoor kitchens. How much heat does a propane patio heater produce? A propane-powered patio heater can extend any outdoor living season by raising the outdoor air temperature as much as 30 degrees. Can propane heat my pool? Yes. Propane pool and spa heaters are available in a range of sizes from 5,000 Btu/hr for a spa or hot tub to 400,000 Btu/hr for a full-size swimming pool. Plus, they bring the water to the desired temperature more quickly than an electric heater.